Gary Steel gets personally acquainted with Rick Wakeman, keyboard whiz/wizzard and comic wag, on the eve of his one-man, one-piano, three-date NZ tour. HOW DO YOU get your head around the idea of a tour like this? I mean, ‘An Intimate Evening With Rick Wakeman’. That’s RICK WAKEMAN, the guy who once stood at the epicentre of Yes, long blonde locks flowing, a caped crusader at the starship control, and the only virtuoso this side of Keith Emerson qualified to man an arsenal of such proportions that nothing, I mean nothing could get in the way of fan-boy appreciation; even the lumbering grotesquery of themed concepts like Journey To The Centre Of The Earth. 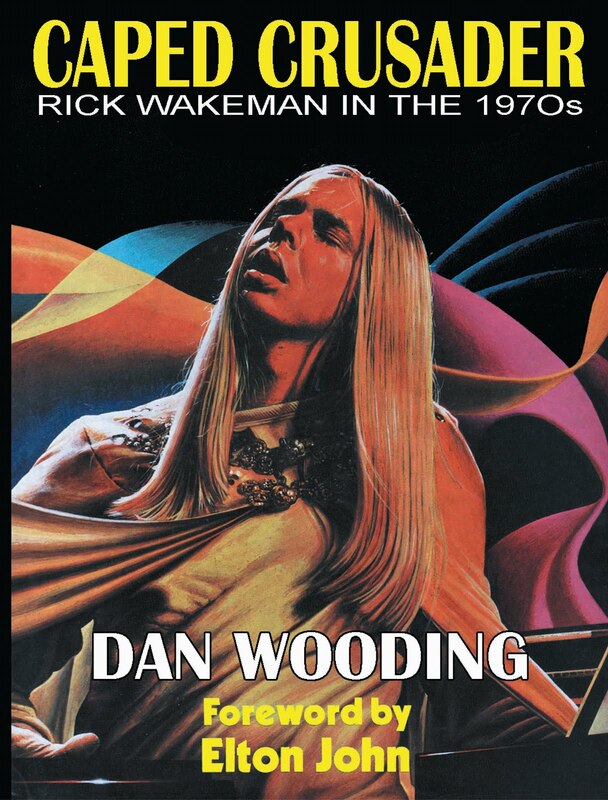 In a minute we’ll get into conversation with Wakeman, who turns out to be the kind of guy you’d like to spend an evening propping up a bar with, hearing him tell preposterous and entertaining stories about his 40 years – 40 years! – in rock music. Except that we won’t be drinking with Wakeman, because these days, he’s teetotal. Instead, we get to go and spend an intimate evening with the guy, his stories, and a grand piano, and it’s one show I wouldn’t miss for the world. But I want to get something off my chest first. It’s easy – and tempting – to look at Wakeman as something of a figure of fun, and it’s true that some of his music is flawed (whose isn’t? ), and that he’s not some twenty-something indie darling. But Wakeman, love him or hate him or his music, is a fascinating figure, an engaging conversationalist, and someone who, in his unique way, has played a remarkable part in the evolution of contemporary music. And he’s funny. 1 As a child, Wakeman won first place at more than 70 classical piano competitions. 2 Wakeman planned a career as a concert pianist, but was subverted by jazz and rock’n’roll. 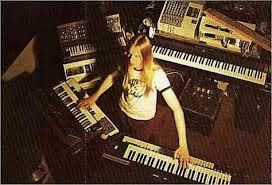 His first band, at the age of 14, was called Brother Wakeman & The Clergymen. 3 By his late teens, Wakeman was an experienced session player. His well-known sessions would include the unforgettable piano on Cat Stevens’ ‘Morning Has Broken’, as well as sterling contributions to early David Bowie albums. Then there’s Marc Bolan, Lou Reed, Black Sabbath, Al Stewart… he is said to have performed on over 2000 sessions and more than 100 hit singles. 4 His first notable band was folk-prog group The Strawbs, after which he joined Yes, with whom he recorded three albums in the early ‘70s. Their most notable achievement was the phenomenal Close To The Edge. 5 In 1973 he released his first solo album, The Six Wives Of Henry VIII, which was the first of a series of themed or concept works. The second was his musical adaptation of Jules Verne’s Journey To The Centre Of The Earth, which Wakeman brought to Auckland in 1975. 6 Wakeman has worked on more than 20 film scores (including the notorious Ken Russell film Lisztomania), and performed in later years with several different aggregates of former Yes members, including rejoining the band itself for a time. 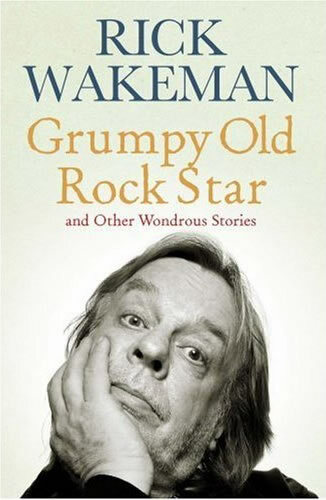 7 In recent years, Wakeman has become known to a completely different audience as something of a comedian with his television work, notably Grumpy Old Men and recently ‘Rick’s Rants’ on the UK’s take on Fair Go, Watchdog. 8 Wakeman is an avowed political conservative and a Christian, although he refuses to talk about that in interviews. 9 He’s been married four times and has six children and seven grandchildren. Gary – How are you doing? Rick – A little bit tired. I’ve been at it for about 15/16 hours already today, so I’m getting getting a little bit… not tired, but you know that thing we’re you’ve gone past the feeling tired bit, and you’re wide awake and know that when you do actually get to bed you’re not actually going to go to sleep. Gary – I know that one intimately. So why are you working so damn hard? Rick – Um… well, it’s not really my choice. It’s a bit by design I suppose. What’s basically happened here over in the UK, in the last 15 or so years, 20 years, I’ve started doing other things as well as the music and also other things within music. They’ve all done reasonably well and started taking up time. The TV stuff that I do, which I do on quite a regular basis, has done really well, so you find yourself doing more and more TV… I was working for the BBC all day today down in London. And then I found myself, I got the job of hosting a big comedy series on ITV a few years ago, and that ran for eight years, and suddenly I found that people are saying ‘go out and do a stand-up show’ and suddenly you’re up there doing a stand-up show, and then the next thing you’re out there with your band doing a prog-rock show and then the stuff with the orchestra, and a couple of publishers said ‘write some books’ and I thought it would be fun to write a book… and that was successful so they said ‘write another one’, and the radio show was successful, and now I do a regular one. So suddenly I find that there’s lots and lots of different things that each individually don’t take up that much time but when you put them all together it just takes up every waking hour of the day. Which is really quite nice, because every day is different, in so many respects, and I quite like that. It’s just that my wife had hoped that by the age of 63 I might just be considering quietening down a little bit so we could have a weekend away somewhere. But it’s not looking likely. Gary – I’m ten years younger than you and I feel like a chronic under-acheiver after looking at what you’re up to. Rick – [laughs] I’m also lousy at saying no. So it’s not all work – I live in a small village, and loads of things go on in small villages, and I just love getting involved with all of that, with the local community and things… As I say I’m just not very good at saying no, and I do enjoy working. I get up very early every morning, I’m always up at a quarter to six at the latest, and I just look forward to doing things. I really do. It’s a bit sad really, when I think about it. If I sit down for 10 minutes in the garden or anywhere I almost feel like I’m wasting time, which is not right. Gary – So you literally don’t ever stop to smell the roses. Rick – No, the only thing I do do in the mornings, my wife and I love the garden, so we have a weird hobby for a rock’n’roller, we love gardening, so we do get the odd hour to spare here and there, just in the garden. Every morning when I get up, rain or shine, I go outside and I just walk round the garden for half an hour with a cup of tea and that sets me up for the day. That’s what happens to aging old rock’n’rollers. Rick – You start planting vegetables and flowers. Gary – So is it more along the vegie line or the flowers? Rick – Well I tend to do the veg, and my wife tends to do the flowers, and we swap over every now and again. But I’m more of a veg person, and my wife Rachel is more of a flower person. Gary – Are you a planter or a destroyer? Rick – A planter or a destroyer? Oh, a planter! When we moved into this house there was no garden, there was a lot of grass and gravel and a few trees, and we’ve been here seven and a half years, and we’ve planted about 5000 plants and trees, and that definitely puts us in the planter range. Rick – No, she’s not a Kiwi, but I’ll tell you what, I don’t think she’d mind being one. We’ve been together now nine years, but her favourite country in the entire world is New Zealand. She’s a journalist but she’s also a published artist, and there was a company in New Zealand who have published some of her artwork on line and invited her down to stay. So she’s been down twice, and when we met, we were talking about different places we’ve been to, and she’s widely travelled as well, and she just couldn’t stop talking about New Zealand, she said it’s just the most wonderful place. The one thing that’s got me into a slight bit of trouble of course is that this is such a quick in and out trip that it’s pointless her sitting on a plane for two days to see me play in three places and not get to see anything and travel straight home again. So she’s not overwhelmed that she’s not coming but hopefully I’ll be back there again, because I’d like to do… we’re working on the proper studio version of Journey To The Centre Of The Earth, which has a long history attached to it, which we’ve nearly finished, and we’re taking that around the world starting in November. We’re taking that to South America, and with a bit of luck, we can bring it down to Australia and New Zealand, and we’ll work it out so that when we get to New Zealand we’ll stay three or four days and have a bit of a break down there. She’s happy about that. So I think the way you hear her talk you could almost say she’s an honorary Kiwi. Gary – Have you been down here since Journey in ’75 or thereabouts? Rick – ’75. I remember extremely well, because apart from the hotel we arrived at there was a drinking competition going on between the various groups of people, so my band and the road crew joined and put a team in, and I don’t think it was overwhelmingly popular that we won it! There were some serious drinkers in my band. But the thing that I remember more than anything else was that it was incredibly hot, and the orchestra – we were playing outdoors, and the orchestra were very concerned about their instruments in the heat, and quite rightly so as well. But I remember the concert as if it was yesterday, I really do, it was a wonderful, wonderful event, I thoroughly enjoyed it. Gary – Did you perform with members of the New Zealand Symphony Orchestra? Rick – It was a mixed orchestra. There were some members of the NZSO but there were also other musicians as well. It was an orchestra that was made up from them and some other people as well. It was a full symphony orchestra, and they were excellent, tremendous. 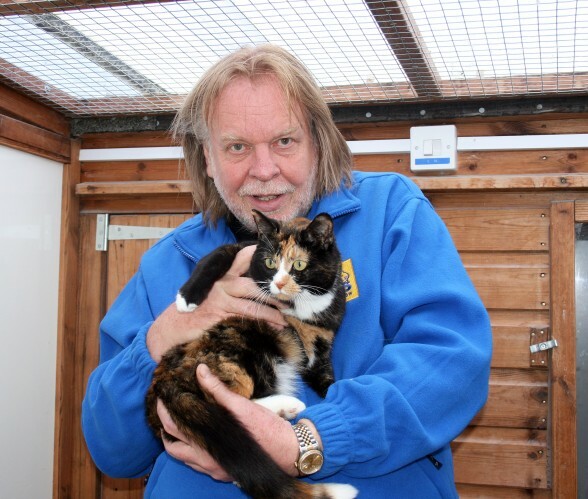 Gary – This is going to be your first visit since then? Rick – Yeah, it will be. I was convinced I’d played with Yes in New Zealand, but it appears not, looking back through all the records. I was convinced we’d played at a racetrack, you know a car racetrack. A speedway kind of place. I was convinced we had, but I must have dreamt it. So that appeared to be the only trip. Rick – Yeah, you could well be right, that’s very true… Obviously when you get to my age the brain plays tricks. Gary – What can we look forward to on this tour? It’s basically you playing grand piano and telling stories. Rick – That’s pretty much what it is. It started in England. Like I said I do comedy shows over here, all sorts of different things, and I started doing a… sitting down playing the piano, and in between telling stories, and to my amazement it was popular. I did about seven tours, because luckily I’ve got so much material I can pick from. And there’s no shortage of stories, because over the 40 odd years that I’ve been doing this, I mean the most ludicrous things happened to me. So it wasn’t difficult coming up with the stories. But over the years what’s happened is people say ‘I wish you’d do this, I wish you’d play that’, put together music that’s not just Yes, it’s stuff that I’ve been involved with over the years on various sessions, and the good thing is that I don’t have to adapt anything to play on piano, because everything I ever wrote was on the piano – everything started on the piano, so it’s not a matter of saying ‘how can I adapt this for the piano’. So I could do this stuff as it was originally written. And the stories are fun. They’re all true stories that have happened to me, and quite literally, I’ve had so many stupid things happen to me over the years, there’s no shortage of stupidness really… I’d like to think that it’s an evening that, well, we do get it… everything from grans and granddads to young kids, which is really, really nice. I don’t do many anymore, I’ll probably only end up doing half a dozen this year because the year’s so busy. I don’t do them as tours anymore, I do them all as one-offs, so apart from the three in New Zealand, there have been five others, so in total, including the three in New Zealand, there’ll only be eight this year. Gary – In terms of the stories you’ll be telling, there are quite a few stories about you that have assumed almost urban legend status, things like for instance, eating some kind of a chicken curry onstage with Yes to annoy the vegetarians in the band. Rick – A lot of them happened by accident. The curry one… we were doing Tales Of The Topographic Oceans in Manchester, it’s four long pieces of which the third one is very much percussion, and I don’t really have much to do. And that particular time, 1973/74, I had a roadie called Toby who used to actually lie underneath the organ, and his job really was that if anything ever went wrong he’d fix it, but he never fixed anything really, his main job was to hand me up drinks, which he did on a regular basis. And he was just shouting up at me ‘what are you going to do after the show?’ and I said I’m going for a curry, I think I’ll have a chicken vindaloo, with pillau rice, six popadom and stuffed paratha, bindi bhaji, shouted it down. I noticed he’d gone, which wasn’t unusual, thought he’d gone to the loo, but about 20 minutes later I could smell curry, and I looked down and he’d got all these bags with curry in it. And I shouted down ‘what’s this?’ and he said ‘here’s your curry’, and I shouted ‘no, after the show!’ He said ‘well, it’ll get cold’, and I thought ‘well, we’re onto side three and I don’t have much to do’, so I laid it all out on top of the organ and the other instruments, and ate it, and stunk the entire theatre out. John came over and had a popadom. I don’t think Steve was very amused, and it just became… Although I say Steve wasn’t very amused, but I’ve heard him tell the story himself. But I’ve heard the story go to the extremes… I heard it told on BBC radio only about a year ago, and I listened to this story as it was told, and they said I had got my roadie to dress up as a butler, put a table out at the front of the stage with a check table cloth and some flowers, and came and served me the curry while the band played on, and I thought that’s absolutely brilliant how the old chinese whispers can… how it’s developed to the stage that they made a nice little restaurant for me. Gary – Is it true that the band insisted that everyone be a vegetarian? Rick – Oh yeah, he’s a bit like me really. He varies his diet. Some days he’ll eat fish, some days meat, some days something else. Gary – I would have thought that philosophically you and John are poles apart, but you’re working together again. Rick – We’re poles apart but we’re also very, very close in understanding, because we both have the same aims. Back in the ‘70s we used to argue so much, but then at the end of the day when the product was finished… We argued over ‘Awaken’ and tracks off Going For The One, but when the album came out we both agreed that it was exactly what we wanted, and we sort of came to the analogy of… say, if you’re flying from London to Tokyo, you can fly one of two ways – you can go West and head over America, or you can fly East and go over Russia and come down, but you end up in Tokyo. We came to this analogy that both John and I were heading for Tokyo, and he was going the West route over America and I was going the East route over Russia, but there would be a period of time, even though we were going to the same place, that we couldn’t have been further apart. So agree with each other that how it will work, even though sometimes we didn’t understand the routes we would taking, we would live with it because we knew that at the end of the day, we would end up at the same place. And the moment we started doing that, we never ever had a cross word. So John and I haven’t had a cross word for, crikey, over 30 years, and we just great fun. We did an album together called The Living Tree and I would go over some music, and he’d say ‘aww, what’s this?’ and I’d say ‘trust me, trust me, think about your melodic lines, trust me’, and then he’d say ‘I’ve got it, I’ve got it’ and it works so well. And he’d send it back, but it wouldn’t be what I was expecting. It would be something completely different, and it was fantastic. So at the end of the day the product we ended up with was exactly what we both wanted. So you’re right, we are both poles apart, but we do always end up at the same place. Gary – Have you by any chance read Bill Bruford’s book? [Note: Bruford was the drummer on Close To The Edge]. Rick – I have read Bill’s book. I love Bill to bits. My only sadness with Bill is that he has more or less retired now. We’re the same age… we’re one day different in age. And I just wish he hadn’t retired. I really accept his wishes and desires… He does some teaching and other bits and pieces, but what a loss to the music profession, because he’s technically the most gifted drummer I’ve ever met in my life. Gary – He seemed so jaundiced to me in the book. You’ve got such a great sense of humour and perhaps that’s what’s pulled you through in a way. Rick – Yeah, Bill is a very… [exasperated sound] I mean Bill has got a sense of humour, he certainly has, but he’s not… he can see the funny side of life, but I can see the funny side of everything. Which is sometimes an advantage, and sometimes a disadvantage. Bill can see things that were funny if they are funny. Very bright guy, very intelligent, phenomenal musician, percussionist, great to sit down and talk to. In the early ‘70s when Bill was in the band we spent a lot of time together sitting down and discussing all sorts of things, he’s an incredibly well read person. And when we did the Union tour we spent a lot of time talking about things. The thing that I love about Bill is that he loves what he does, and anybody who’s got a passion for what they do – he’s got a real passion for music. I do hope that he… even if he stays in semi-retirement, I do hope he comes out and does some gigs, because there are a lot of young drummers and percussionists that are coming through that could learn an awful lot and I know would be inspired by watching and listening to Bill. Gary – Do you still practice a lot? Rick – Yeah. There are days when I’m playing and I’m in the studio and I’m working, and you don’t then. But I do play every day. Some days it might be for as little as, I dunno, 40 minutes, 45 minutes, and other days, for whatever reason, if you start getting inspired to do something, that practice session can go into hours. But I do play every day, except when I’m stuck on an aeroplane. 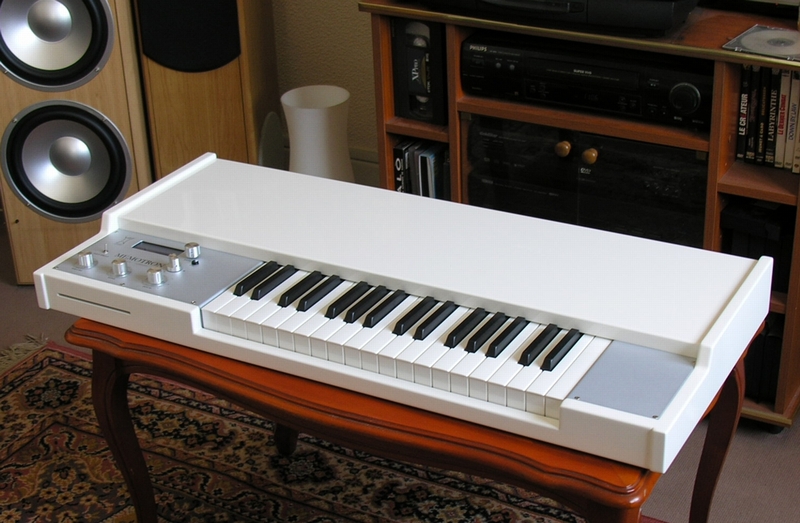 Gary – When was the last time you played a mellotron or a birotron? Rick – The last time I played an actual mellotron was about two years ago, I did an album called Retro, and my bass player Lee Pomeroy had one. No, it’s longer than two years ago, what am I talking about. Must be four years ago. Or five years ago. But coming up to three years ago I discovered an instrument called the memotron, which is a modern mellotron, a digital mellotron, and I’m not always that fond of digital versions of analogue instruments; but it’s a German company and I got hold of one and it’s just unbelievable, you cannot tell the difference between this memotron and a mellotron, it’s so clever. The great advantage is you don’t have the mechanical failures that the mellotron had, which was why it was a nightmare to take out on the road. But the memotron I use a lot, in fact I played it yesterday – I was telling you we’re re-recording Journey To The Centre Of The Earth, I’m using it on that. A birotron, I wish I did have one. I believe there’s eight left in existence. I did hear that one went in Japan for 25 thousand dollars in auction. They are as rare as rocket horse plop. I wish I did have one. Gary – Do you have an affection for those older instruments? Rick – For some of them. Obviously the dear old Hammond organ, which is a wonderful machine with a leslie. The minimoog is irreplaceable… minimoog is just probably the most genius keyboard instrument ever made, it’s just so fantastic, I just could not imagine life without one of those. There are some other fantastic instruments that I’ve got that are 20 or 30 odd years old. I’m nostalgic if they’re good, I don’t think that anything has the right to be nostalgic just because it’s old. Actually that’s what my kids say about me. Gary – Have you ever thought about the fact there was a generation of kids in the ‘70s that grew up idolising you and Emerson and Lord and… a one-off in the sense that teenage boys getting into keyboardists rather than guitarists. Rick – It’s very strange. So many people of all ages come up and say I started playing because of you and it’s really weird, because in one respect you feel embarrassed. And in another breath you think that’s a bit of a responsibility in a strange way as well. But I suppose as I’ve got older, I suppose it’s my wife who’s said to me you should be really chuffed, feeling quite proud you might have inspired someone to take up an instrument and get inspired and make some music. So it’s… I’ve sort of learnt to become really pleased about it in a way, but I still get embarrassed if someone comes up and says I started playing because of you, or I did this because of you. Oh right! [laughs] It’s nice but it’s quite hard… The thing is I don’t think any of us can step outside and see ourselves as other people see us. That’s really hard, but it’s really lovely. Gary – The guitar has been the overwhelming instrument, so it’s great that through yourself and the other keyboardists in the ‘70s, keyboard instruments have reclaimed some of that territory. Rick – I think they’ve reclaimed a lot. It’s very interesting, for example, that at one stage little bands would never dream of having a keyboard anywhere near the carpark where they were playing let alone on stage, yet now, so many of the metal bands including Sabbath… I know about Ozzy, because my second oldest son Adam’s been with Ozzy for seven or eight years now. Keyboards have become part of the setup and you get bands like Judas Priest who throw keyboards into the albums. So things have changed an awful lot, and I think all bands of all different kinds have recognised that within their music – because there are such a variety of keyboard instruments available today – keyboards can add to the music and take things they’re trying to create to different levels. When I first started back in the ‘60s, bands who had an organ, you couldn’t hear it anyway. Any band you saw that had an organ, it was always there for show. Because the guitarist was so LOUD, you couldn’t hear it. And then of course when Bob Moog came along with the mini-moog, you could cut through concrete, and guitarists hated it, because suddenly you could be louder than the guitarist, and they didn’t like that at all. And I thought that was wonderful. It was great to have an instrument that really upset guitar players. Every band I’ve played in, I’ve discovered that if a minimoog really upset them I’d have at least two of them up there, so they’d be doubly upset. It’s interesting how it’s all changed. There’s still a lack of good solo keyboard instruments. There’s a couple of Rolands, there’s the minimoog… that are not bad at all for soloing. But it’s interesting now that just about any band from a punk band to a metal band has got keyboards in it now. Gary – Are you aware of the way your music is so very English? Rick – Yeah, it IS English. I don’t know whether that’s because I’ve always liked history and myth and legend and heritage. When we were doing the remake of Journey I wanted another singer and my engineer who’s a lot younger than me, he’s 37, Eric… actually he was born the year I did the original Journey. So I needed another singer, and he said ‘don’t take this the wrong way, but you need a white girl singer.’ I said what? He said you need the English rose singer, that’s what you need for the new songs. I said why? He said this is so English. It’s so unbelievably English. And we tried to define it, and I said what’s English about it? It is, it’s English he said. That’s all I can tell you! It’s so English in every respect, and it’s got to stay that way. Rick – You know you’re right, we should be proud of what we are. I had a wonderful girl singer in my band called Chrissie Hammond who’s a Kiwi, and she sang in my band for about four or five years, wonderful voice, and she was fiercely proud of being a Kiwi, and more often than not when she spoke people would say ‘oh, you’re from Australia’, and she would go NUTS. It was almost like that was the world’s biggest insult to her, and so… English people aren’t very good at having national pride, and perhaps we could take a leaf out of countries like New Zealand who have a fierce national pride. I think it would do us a lot of good. * Rick Wakeman and his concert grand appear in New Zealand on the following evenings: Wellington Town Hall, Saturday October 6, Auckland Bruce Mason Centre, Sunday October 7, Christchurch Aurora Centre, Monday October 8. 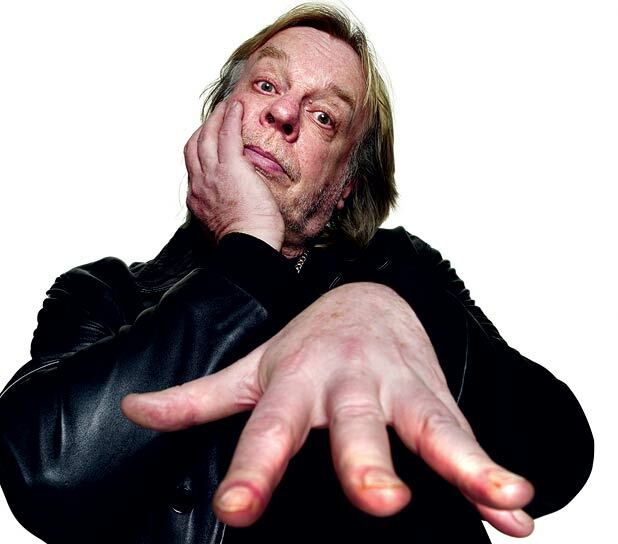 Full event and ticketing information from www.rickwakeman.com.